Classic Telestrations fun for Spanish-speaking players! Draw what you see, then guess what you saw. All players draw, pass, guess, and laugh simultaneously to reveal fun and unpredictable results! 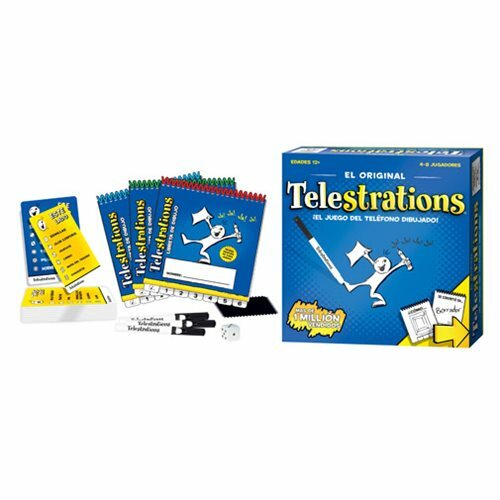 The Telestrations Party Game Spanish Edition is sure to be a hit at your next game night. Juguemos! For 4 to 8 players. Ages 12 and up.